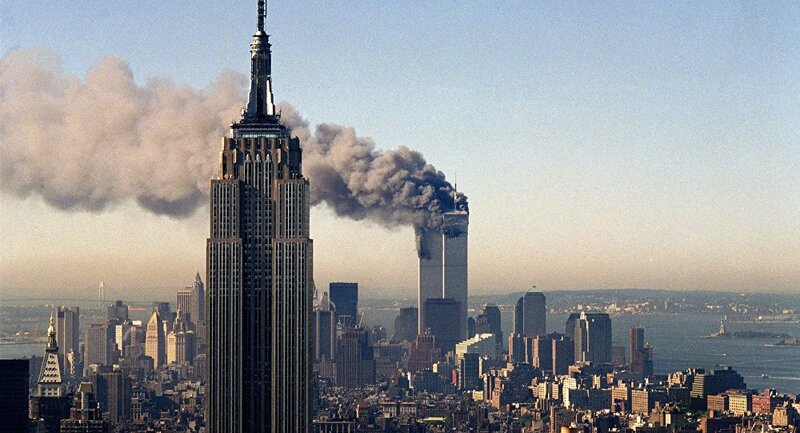 17 years ago, as a 17 year old, I heard the news of 9/11 over the radio on my way to school. My English class sat silently, as the news developed, as the world as we knew it changed. Today, it occurred to me that prior to that day, my focus of study was on Math and Science. And since that day, I’ve studied History, Philosophy, International Relations, and Theology. I’ve applied myself toward understanding this world and its people, with hopes of making a positive difference. It’s been a switch from certainty to story, from problem-solving to balancing and tension – an exploration of mystery. What should it be like? 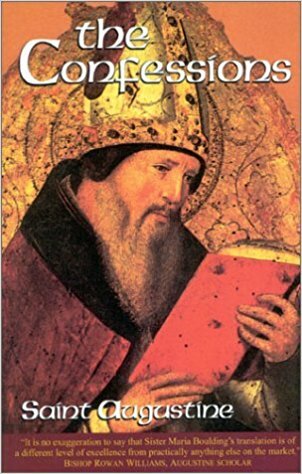 What was it originally like, in the time of the apostles? Have you ever pondered these questions? It seems to me that this sequence of three questions, or something like it, has probably entered every thoughtful churchgoer’s mind at some point. When things seem to be going wrong, at least from our view, we wonder what we’re missing, and our thoughts go back to the early church. 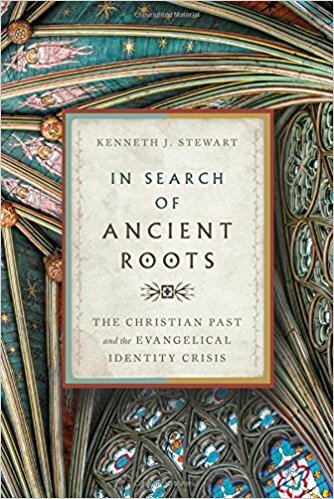 Kenneth J. Stewart, an author to whom I am related, has noted that many evangelicals are looking to Catholic and Orthodox churches for more “authentic” or “original” experiences of Christian worship. However, he argues that it is not tradition, form, or succession of leadership that defines the true church, but biblical doctrine. Staying true to the authority of Scripture, the need for personal faith, and the practical living out of that faith is what has historically separated the true church from its variants. Ever since apostolic times, there has always remained a stream of faithful believers who hold to these convictions. 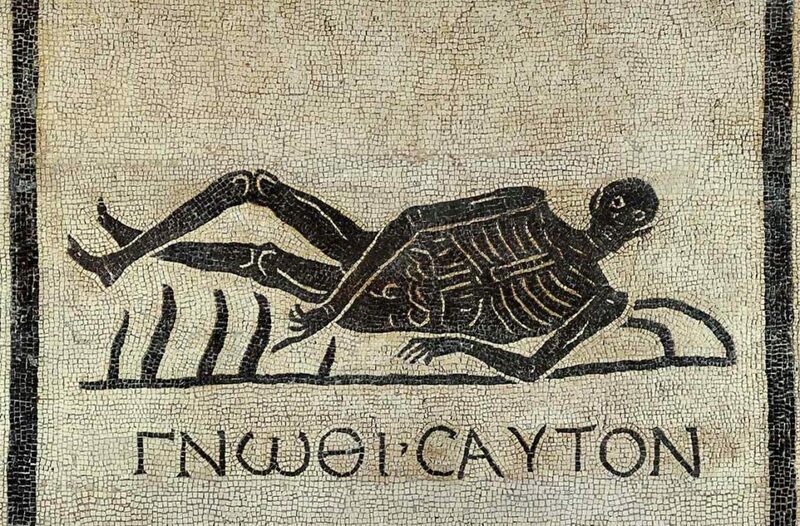 Ok, but what would this look like today? How can a church gather and worship, practically living out their faith in a way that is faithful to Scripture? Of course, this list of activities are to be recommended and practised by churches today. But this verse was not meant to be a complete blueprint for the church of all ages. Acts 2:42 is actually one of many point-in-time snapshots of the early church, as it developed. Using this as a timeless model would be like trying to replicate Martin Luther’s lectures, John Wesley’s “holiness groups,” or the Azusa street revival in our present time without any regard for our particular context. Moreover, viewing this point-in-time as ideal would be ignoring the process of how the church developed to that point, and how it developed from there. When you read Acts as it was written – as a narrative – you can see a fledgling group of Jesus-followers develop into a united fellowship, then into a mature organisation, and then into a global movement. It is this pattern, I believe, which we have seen repeated in other places and other times over history; it is this pattern that we can hope to replicate in our own context, in its own way. I’ve reflected further on this in a short sermon series. Acts chapter 1 may be one of the most forgotten chapters in the New Testament. Readers and preachers may be eager to get to the story of Pentecost in chapter 2 – but what led up to this? After Jesus resurrected, and before He ascended, Jesus instructed His followers to wait for the Holy Spirit, Who would empower them for their mission (Acts 1:1-8). So, the apostles and other followers of Jesus, numbering 120, gathered in an upper room to pray. And as they continued to meet, we see something completely ordinary happen – they open the Scriptures, and seek God’s will together. This, it appears, is the seed of the church – a “small group Bible study & prayer time.” Before any public gatherings, programs, or missions developed, these 120 disciples of Jesus committed to meeting together, united in worship of their Savior and Lord. How much effort to churches and church planters put in to attracting large gatherings? Didn’t Jesus shy away from these sort of things, in order to prioritise time to disciple the few? He knew that He would never physically reach every single person – so He started a multiplying movement, commissioning His disciples to make disciples (Matthew 28:18-20). And as the story in Acts continues, we’ll see how this worked. Devotion to Scripture (the New Testament is the apostles’ teaching), to fellowship, eating together/celebrating communion, praying – these, of course are essentials, and serve as a good model to follow. But the description of this early church goes on – the church also had miracles, communal possessions, daily worship gatherings and meals, favour in the community, and daily conversions. How did they have time for this? What motivated them to such a courageous and committed lifestyle? The closest I’ve come to this is youth group, where I was part of a community of people with a lot of time for each other, and a lot of energy to spend on behalf of others. Acts 2 was a special time. 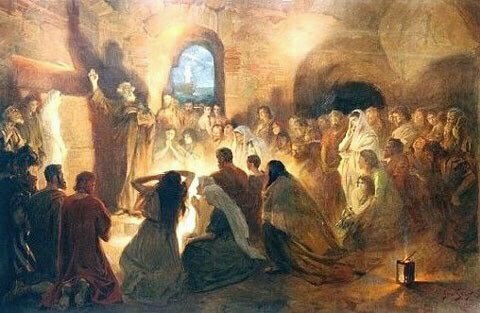 Pentecost had just happened, which was a one-time event, birthing a new era among God’s people. It’s not that we shouldn’t expect these things in our church, but we must recognise this as a step in the journey – a journey that can be taken again and again by God’s people, but never exactly the same at every time or place. By Acts 6, the church had grown by the thousands, and the apostles were beginning to bend under the weight of the practical needs that came with such a large flock. Offerings were being given, and needed to be redistributed fairly – particularly to the widows among them. 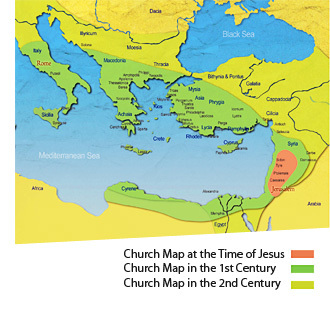 The church had become culturally diverse since Pentecost, and conflict emerged between Hellenist and Hebraic Jews. Note that at this point, the church is still basically Jewish – those are the people who had come to the Pentecost celebration, and that is the nation who had been awaiting the Messiah, Jesus. But some Jews, especially those who were dispersed around the Roman Empire, had adopted some Greek customs and certainly spoke the Greek language. It was these newcomers who were feeling neglected by the widow-relief program that had begun. People complaining in a church about favouritism …sound familiar? What to do? …And then Acts 7-8 happens. Stephen, one of the new ministers, is martyred. The church scatters. All is lost…or is it? Just as we can overly-idealise the organic, pristine, ideal fellowship of Acts 2, we can also fall into thinking that when you get to Acts 6, you’ve arrived – big numbers, functioning programs, appointing leaders – this is the dream of every church leader, right? But what was their mission, again? Why did the Spirit come, again? And as the story continues, we see the gospel spread from Judea to Samaria, and the ends of the earth – embracing all peoples into God’s family. We see that God saves people to send them; He calls people to commission them; He blesses people to make them a blessing. In light of the whole story, we see the purpose of each step along the way. The church begins with a gathering of worshippers; that grows into a thriving community; that develops into an organised ministry; and that multiplies into a global movement. I believe we can see this process in individual people’s lives, as well as in the development of churches (see how Rick Warren described church ministry in The Purpose Driven Life, below). Does it relate to you and your church? If so, what stage might you be at? What step might God be leading you to take? This past Sunday, we just finished a 6-week journey through the Sermon on the Mount together. Jesus says all kinds of startling, earth-shaking things in that famous address, re-defining how His followers would view the world, their lives, and Him. But, He is not just giving some food for thought. He closes His remarks with a challenge to respond: we must pick a side – are we in or out? In Matthew 7:13-27, Jesus makes a similar point in four different ways: There are two kinds of people. 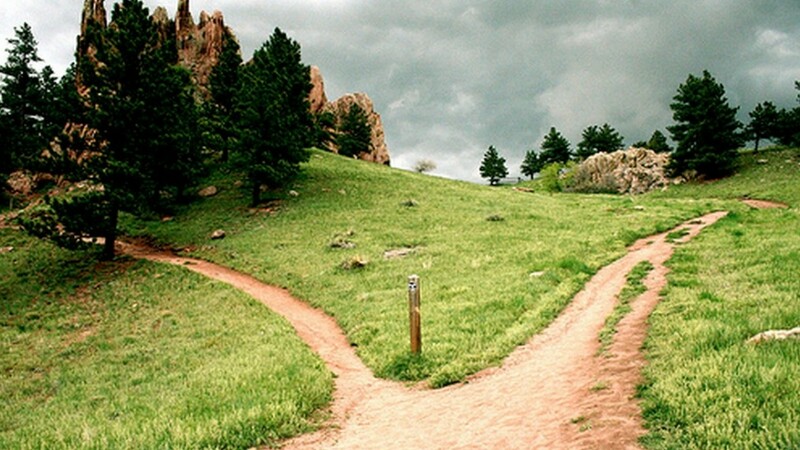 People can take broad path with the crowd, or the narrow path with Him. They can listen to false prophets, or to fruitful, faithful teachers. They can say they believe, or they can live it out. They can build their house on the sand, or on the Rock of His words. Based on their response to Jesus, people are divided into two categories. Perhaps nowhere else have I seen this point more clearly than in the Gospel of Luke. When our church traveled through the entire narrative of the Bible together in 2017, we spent a month in Luke. That’s not a lot of time for such a “thorough account” of the life of Jesus, so I knew I needed to focus on a theme. 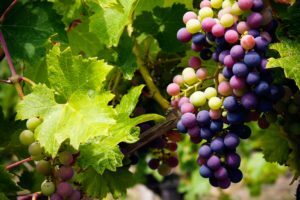 Having already reflected on the “Words of Jesus” from the Gospel of Mark, I approached the book of Luke from a different angle – examining Jesus’s impact on the people He encountered. It was these “Encounters with Jesus” that really illustrated His polarizing effect on humanity. Early in His ministry, Jesus clearly states that His purpose is to preach the good news of the kingdom (Luke 4:43) and call sinners to repentance (Luke 5:32). The immediate response is remarkable: Matthew, a tax collector, the worst of sinners, responds to Jesus’s call, and holds a great banquet at his house to celebrate. The religious leaders notice that the banquet is full of sinners and, rather than celebrating along with Jesus, they complain. Jesus is moving the goalposts, redefining righteousness as something based on repentance of sin and faith in Him, rather than outward appearance. In response to this encounter with Jesus, sinners throw a party, and religious leaders complain. Sinners are entering the kingdom ahead of religious leaders (Matthew 21:31). Perhaps even more surprisingly, we see a similar contrast between the Jewish elders and a Roman centurion. The centurion’s servant is gravely ill, and he sends some Jewish elders to ask Jesus to come and heal him. A Roman ordering around Jews – so far, it sounds pretty normal for the occupier-subject relationship. 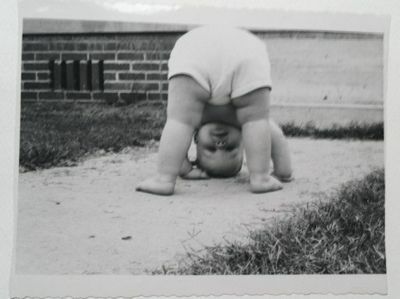 But then, the situation is turned upside-down. The Jewish elders plead his case, claiming that the centurion “deserves” this favor because of his good deeds. The word in Greek is axios, literally meaning “equal in weight,” and often translated as “worthy.” But as Jesus approaches, the centurion sends friends to ask Jesus to not trouble Himself to come – but to simply give the word, and the servant will be healed. The centurion actually considers himself undeserving of a visit by Jesus (hikanos = insufficient) and unworthy (axios) to approach Jesus, Himself. In response, Jesus is amazed (thumazo). Nowhere else in the gospels is this word used to describe Jesus, other than Mark 6:6, when He is amazed at the unbelief of His hometown, in response to His miracles. Here, Jesus is amazed at this centurion’s faith – which was greater than any He had seen in Israel. This foreigner, who considered himself unworthy, was actually more worthy than any of God’s chosen nation. Moving on, Jesus later visits some friends – Mary & Martha, who were sisters of Lazarus. 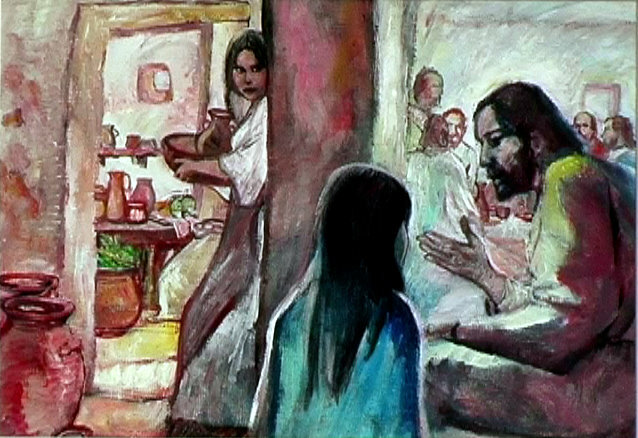 Martha gets busy preparing a meal, while Mary sits at Jesus’s feet and listens to His teaching. Martha gets upset, but Mary is affirmed. This well-known story continues to irk well-meaning Christians, who find that they relate to Martha’s work ethic rather than Mary’s more passive demeanor. But is this story merely about two different personalities? No. When Jesus says “Mary has chosen what is better,” He is talking about a conscious decision on their part. 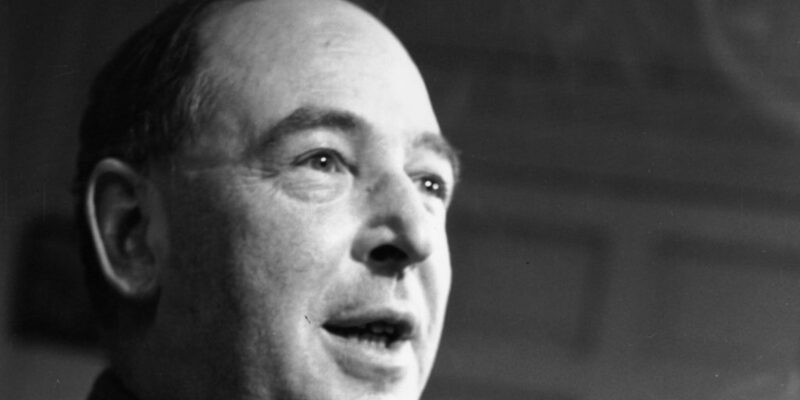 He is not saying that one personality type is more holy than the other; He is saying that “only one thing is needed,” and we need to decide what that “one thing” is for us. Martha was “worried,” and she took it out on everyone around her. This was not an example of joyful, overflowing, or humble service; she may have been trying to earn Jesus’s favor. In contrast, Mary offered her eyes, ears, and implicitly, her heart. She acknowledged that she needed to receive from Jesus, not vice-versa. And this would not lead to passivity; surely, practical service would result from whatever she heard and received from that encounter. Noticing a pattern, here? As people encounter Jesus, they are distinguished by each other not by their religiosity, culture, or good works, but by their faith in Him. A child of God is simply someone who believes in who Jesus is and receives what He has done for them (John 1:12). He calls us to repent, believe, and follow Him – acknowledging our need for forgiveness, trusting that His death and resurrection takes care of that, and committing our lives to His leadership and care. Notice what these requirements exclude? Outward religiosity, cultural background, impressive works…get the idea? No wonder He was so polarizing. and notice also how, in Jesus’s parables, people are divided into two groups. At God’s great banquet, there will be those who respond to the invitation, and those who don’t (Luke 14:15-24). 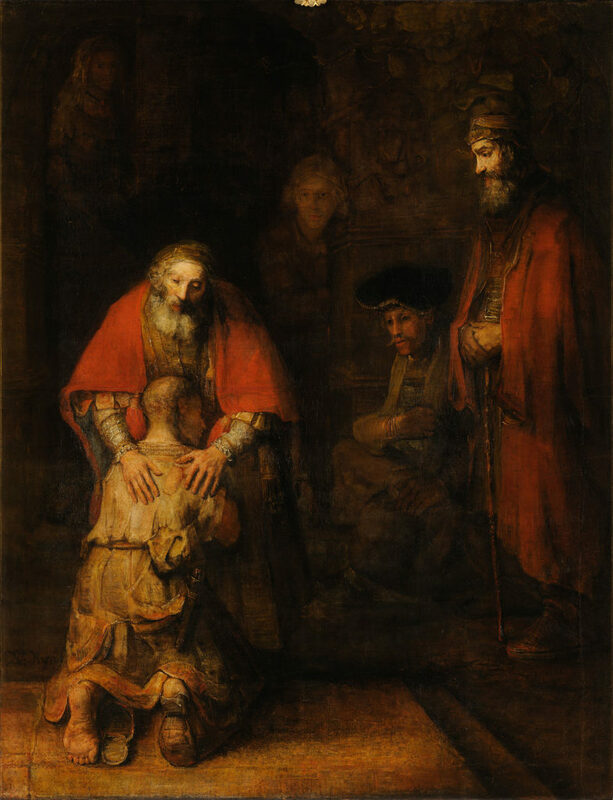 There are those like the Prodigal Son, who repent and return to the Father, and those like the older brother, who judge others and stay out of the celebration (Luke 15:11-32). There are boasters who will be humbled, and the humble who will be exalted as righteous (Luke 18:9-14). There are those who leave everything and enter the kingdom like humble children, and those who hang onto their wealth (Luke 18:15-30). Who do you relate to, in these encounters with Jesus? How do you respond to Him? Who is He? What does He mean to you? Where do you go to find healing? 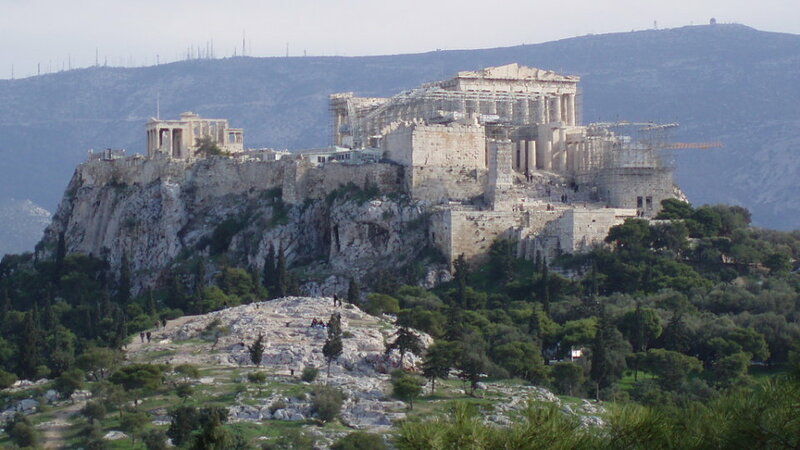 The Aeropagus in Athens, where Paul spoke in Acts 17. Our church happily welcomed the AA group to use our building twice a week, and looked forward to developing a cooperative and healthy relationship. After 9 months, it has been great, and a few of their members have sought for the “Higher Power” with us on Sundays too! Last fall, several months after AA came under our roof, our church launched Freedom Session – a Christian 12-step program that explicitly names Jesus as the Higher Power who will bring us healing and growth. This was for two reasons – first, so that we could offer the good news of Jesus to people of the recovery community who were seeking answers. Secondly, because we as a church had a lot to learn from the recovery community – about opening up and becoming more authentic with one another. Freedom Session would be a step in that direction. Perhaps both sides could learn from one another! We admitted that, in our own strength, we are powerless to rise above our hurts, resentments, unhealthy behaviors and attempts to control. Our lives have become unmanageable. We came to believe that God exists, that He loves us deeply and that, through a personal relationship with Jesus Christ, we can be healed and fulfill the purposes for which we were created. We made a conscious decision to turn our lives, our pain and our will over to the care of God and the leadership of Jesus Christ. In this summary of Jesus’s Gospel message, He begins by stating the fact that the kingdom has come. God’s promise to come and save His people was coming true. Jesus’s name meant that He would save people from their sins. He was also called “Immanuel,” meaning “God with us.” God’s kingdom was being launched on earth – a movement of people who trusted and followed Jesus. Jesus then asks for a response in 3 simple commands: Repent, Believe, and Follow. We are to have a “change of mind,” as the Greek word for “repent,” metanoia means – and this should result in a complete reorientation in our life. We must turn from our wrong ways, and turn toward a new way – believing in Jesus as our Savior. And for believing to bear fruit, it must translate into action – following Jesus. This will result in us becoming able to “fish” for others – to share what we have. I couldn’t help but notice that these 3 simple commands corresponded with the 3 steps of AA and Freedom Session. It is well-known that AA has Christian roots – and we can see it today! One must confess that there is a problem, come to believe in a source of hope, and then decide to follow through. If only it was clearly understood who that Source of Hope was, who originally gave us these 3 steps! 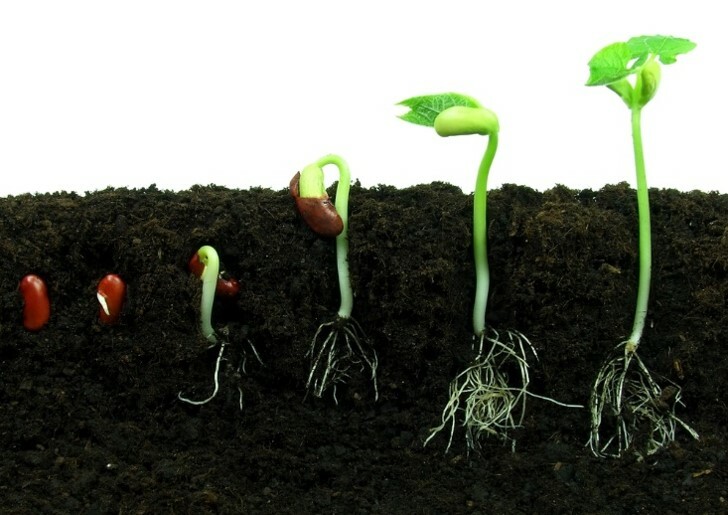 The hardened soil on the path failed to take step 1 – to confess/repent, and be open to receive the message. The shallow, rocky soil failed to take step 2 – to believe and endure through adversity. The thorny soil failed to take step 3 – to follow through and set aside distractions. 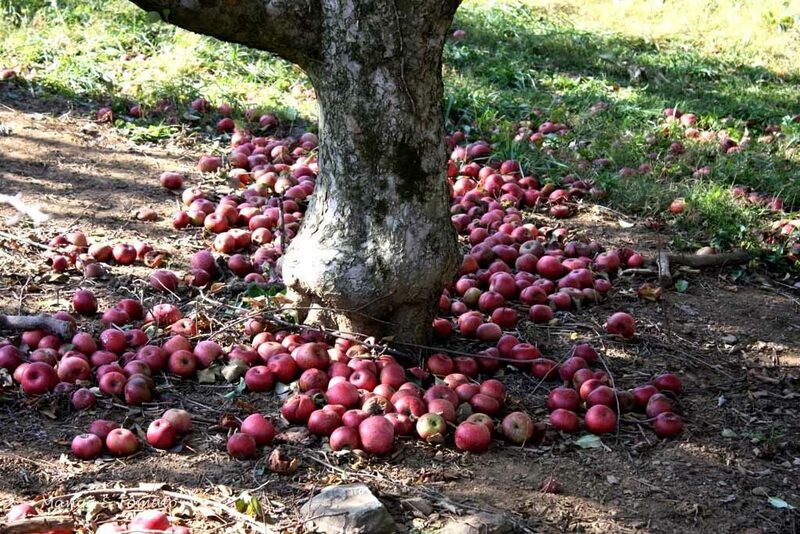 Only by taking all 3 steps can we expect “fruit” – change, recovery, and healing! My last message was Jesus’s encounter with Blind Bartimaeus. Here, we have a real-life example of someone taking these steps. Bartimaeus admits that he is blind, and calls out for help: step 1. 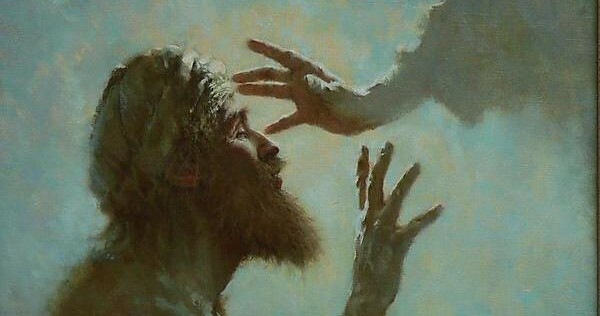 Then, Bartimaeus demonstrates faith by specifically asking Jesus to restore His sight: step 2. 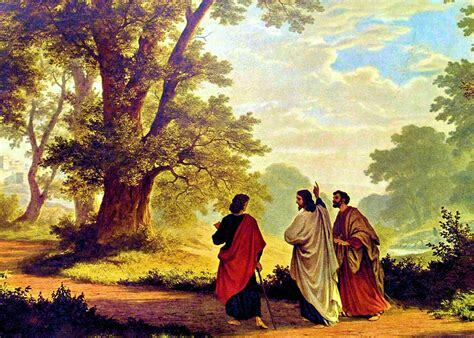 Finally, having been healed, Bartimaeus uses his newfound eyesight to get up and follow Jesus: step 3! I share this as an encouragement to all – God is not far off or out of reach – in fact, He has been reaching out to us all along! He has sent Jesus as our Savior, Who calls us to 3 simple steps: Repent, Believe, and Follow! May we find hope and healing in Him. Do you relate to Him with fear or trust? 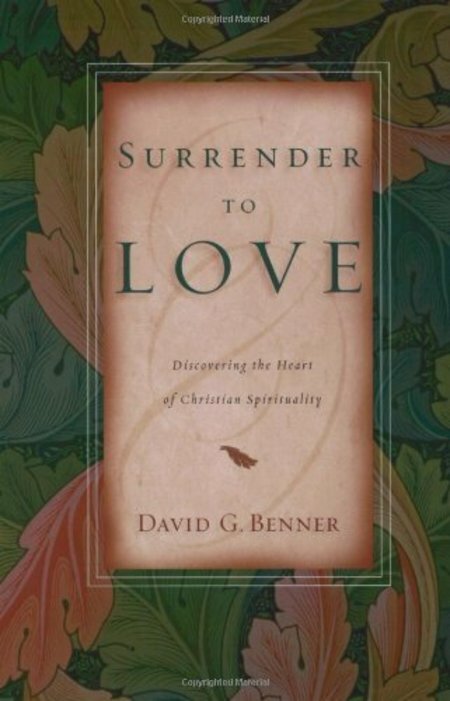 David Benner, a professor of psychology and spirituality, summarizes the Christian life in his title: Surrender to Love. He recognizes our longing for love and connection – indeed, it is our life purpose – yet we are hesitant to be vulnerable. 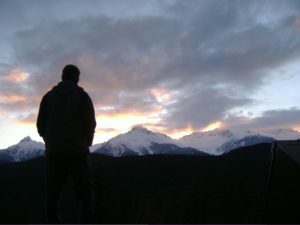 First, he poses the question, “what do you think God feels about you?” He encourages us to think if God as the Father of the prodigal son – loving us despite our sin. He also points out that Jesus, God incarnate shows us that God is love. The problem, however, is that many people know this, but don’t feel it. They need to experience it. Second, Benner addresses fear. Some people relate to God in this way, as if God only offered His gift of Love “at gunpoint.” And, living in fear, we seek safety by seeking to control ourselves and others. Only knowing the safety of God’s uninventable, inconceivable gracious love can free us from fear, to vulnerably receive. Third, he argues that obedience to God, which leads to our well-being, needs to be in surrender. We can’t strive to obey by our own strength; we must abandon control, and trust His love. Obedience should be restful, like flowing in a stream, rather than striving by our own strength. It is preferring His way, and saying “yes” to Him – only possible if we trust His love. Fourth, Benner outlines the transformational journey this involves. It begins with conversion, which involves repenting or turning from our sin, to God. This requires trusting His love and reorienting toward Him. Next, one must receive the love in vulnerability – only then can it truly transform us. One may know the truth, but they will not be able to change by sheer willpower. Finally, after opening oneself to God, one must “leap beyond belief” and truly experience His love. Only God’s love can truly satisfy, and only His love is perfect enough for absolute surrender; but our love can partially reflect it enough to partially enjoy this transformative love in a human context. Fifth, Benner addresses how we can “become love.” He points out that conversion involves a death and rebirth of the self. And to become new, it involves meditating on God’s love, rather than trying to mimic it. But, one must experience this love through the cross alone – recognizing our sinfulness and need, and receiving His gift. From there, we lose ourselves and become others-oriented; we become love, in the image of the One Who is love. If you prefer practical, hands-on, formulaic, how-to ministry manuals, this isn’t for you. Yet, in a way, it does present us with very simple and clear instructions on how to benefit from God’s love. No. Read the Psalms. Read the Bible! We need to talk more about our relationship with God. Yes, it is individual and unique, but it is strengthened in community. Benner doesn’t have the complete view, but neither does anyone else. Yet, we can learn from one another, and I dare say we should learn from what Benner shares here. So, by all means, check out this book, read it with an open mind, and take from it what you can! For see, thou wast within and I was without, and I sought thee out there. For by the grace given me I say to every one of you: Do not think of yourself more highly than you ought, but rather think of yourself with sober judgment, in accordance with the faith God has distributed to each of you. For just as each of us has one body with many members, and these members do not all have the same function, so in Christ we, though many, form one body, and each member belongs to all the others. We have different gifts, according to the grace given to each of us. (Romans 12:3-6). It is there that our changing relationship to ourself can be brought to fruition in an ever-changing relationship to our fellow human beings. 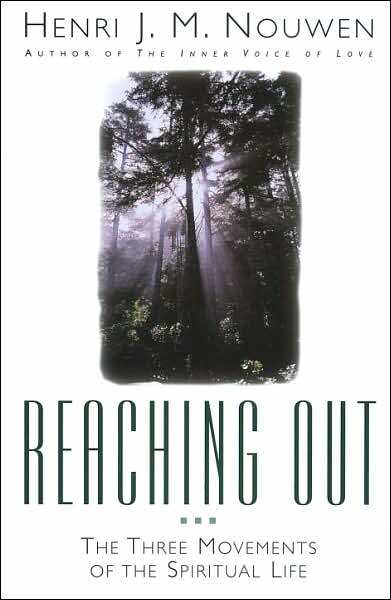 It is there that our reaching out to our innermost being can lead to a reaching out to the many strangers whom we meet on our way through life (65). But there must be a real giving up of the self. You must throw it away “blindly” so to speak. Christ will indeed give you a real personality: but you must not go to Him for the sake of that. As long as your own personality is what you are bothering about you are not going to Him at all. The very first step is to try to forget about the self altogether. Your real, new self (which is Christ’s and also yours, and yours just because it is His) will not come as long as you are looking for it. It will come when you are looking for Him…Keep back nothing. Nothing that you have not given away will be really yours. Nothing in you that has not died will ever be raised from the dead. Look for yourself, and you will find in the long run only hatred, loneliness, despair, rage, ruin, and decay. But look for Christ and you will find Him, and with Him everything else thrown in. 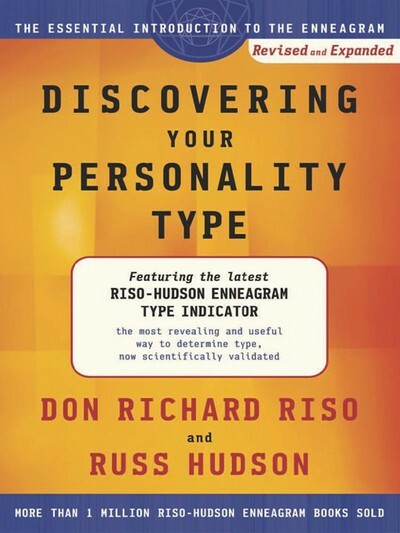 I recently finished reading Discovering Your Personality Type: The Essential Introduction to the Enneagram by Riso and Hudson. As the title indicates, this would be a good first book for anyone wanting to learn about this fascinating and useful personality indicator. It contains introductory materials, a 144-question survey to indicate your type, an explanation of each of the 9 types, and some guidelines of interpretation. As with any good personality indicator, the results should seem intuitive. This test should put into words what a person already feels and observes. And, equally important, it should give language to what we observe in others. The enneagram has become widely used in business circles, counseling, and faith communities in order to gain insight into our personal, relational, and spiritual dynamics. 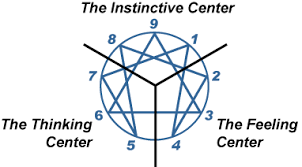 Underlying the mechanics of the enneagram is a belief that everyone has a basic type. While nurturing factors can affect the way that we develop, relate, and act outwardly, there is an assumption that, deep down, we all have an inborn nature that affects the way we experience life. As far as this paradigm is concerned, our “type” is irrespective of gender, ethnicity, or season of life. 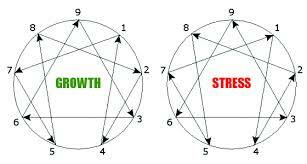 Rather, those external factors may affect other aspects of the enneagram. No type is better than another; rather, each type has its own corresponding vices, fears, and levels of health. First, rather than binary, it is tertiary. All people are divided into one of three triads, based on their “centre of consciousness:” thinking, feeling, or instinctive (gut). These three categories essentially express how people make decisions. Then, within each triad are three sub-sections: one assertive, one dutiful, and one withdrawn. The result is that each person has two characteristics, assigning them one of nine basic types. There are additional levels that psychologists have added, further dividing each type again. 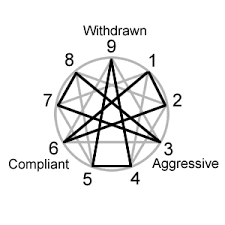 Perhaps most uniquely, the enneagram is dynamic. Not only does a person stand solidly within their “basic type;” but there is also conditional movement between the types. 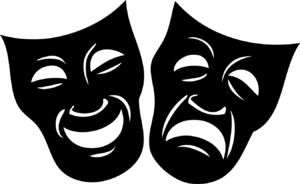 When a person is stressed, they tend to act like a specific other type; when they are secure, they tend to act like another type. People also tend to have a “wing,” or secondary type that is adjacent to their main one. 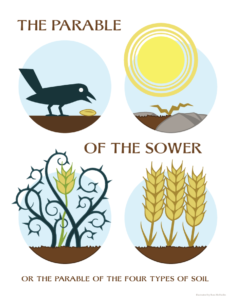 Thus, the enneagram accounts for the diversity we experience, and provides an explanation for human development and regression when experiencing consolation and desolation. In short, the enneagram explains a lot. And the more familiar one becomes with it, the more insight one can gain into personal, relational, and spiritual dynamics. We can gain language to explain why we feel, think and do things, why we clash with certain people, and what wholeness and health looks like for us and others. The enneagram does not rank types in comparison to each other, but provides a framework for seeking maximum health within one’s own type. or if you are ready to heed Christ’s call to turn your life over to Him for transformation, consider using the enneagram as a practical tool! 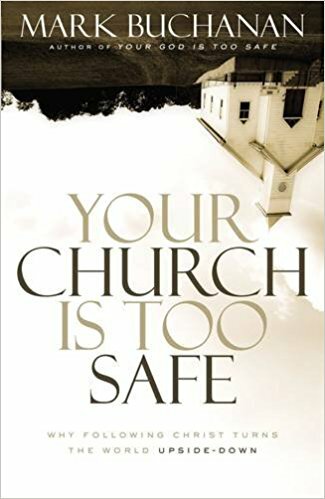 Is Your Church is Too Safe? Just over a year ago, I was called by Parkdale Evangelical Free Church to join their family and serve as Pastor. God had led me through a searching year of letting go of where I was and what I was doing – and now He had shown me the next step. God provided us with a ministry calling, a home, and a loving community to join. We moved on September 1, 2016. Since then, people have often asked me, “How’s it going at Parkdale?” I tell them that I am very grateful to be part of such a healthy, loving family of believers. I appreciate that our gatherings can provide a time and place for people of various generations and backgrounds to unite in worship and warm fellowship. It is a family that likes being together – whether it be cheering on their softball team, building homes in Mexico, or enjoying a barbecue lunch. Parkdale is a community that I am glad to share about with others, and when they visit, they speak of it’s warm atmosphere. Not long into my time as pastor here, a senior member of the church showed me a photo directory of Parkdale, from the early 1980’s – before the time that I was born. What struck me most was not the odd hairdos, or the lack of ethnic diversity that are characteristic of that decade – it was simply this: that less than a handful of the people in this directory still attended the church! This is not to say that there are no seniors at Parkdale. Thankfully, we have a good cohort from that generation. While some from the 1980’s directory have passed on to glory, there are many who have not. Some people leave. It can be connected to a pastor’s departure – three have left since the early ’80’s. It can also be for personal reasons – a crisis of faith, a personal conflict, or a new chapter in their life journey. But, for every “leaver,” there is usually a “comer” – someone leaving elsewhere and coming our way for a similar reason. So, what do we do when they come? Some people move. People don’t keep jobs and careers like they used to. And when one member of the family moves, it can start a chain reaction, as others follow to support or be supported by living closer together. And yet, Victoria is not de-populating. On the contrary, Victoria’s population has grown from 64,000 in 1981 to 85,000 in 2016. Over the same time, Saanich has grown from 78,000 to 109,000. People leave and people come. Are we reaching those newcomers? This is where the conversation gets a little uncomfortable. It is wonderful to enjoy and participate in a loving church family. But times change, and people don’t always stay forever. Therefore, unless new people are welcomed into the fold, it’s only a matter of time before every church will go extinct. Fortunately, in Parkdale’s case, the departure of 90% of the people from the early 1980’s has not resulted in the extinction of the church. It lives on! What does this mean for us, today? Well, for one, the church is not all about us – nor is it all about the people who are in it. Just like a family, there is an understanding that we are living, gathering, and serving for others – for the lost who will be found, for the next generation, who will rise to take our place. Second – safety, stability, and even unity are not our goal. They are wonderful to have, but are fruits of something else, something deeper: a common mission of following Jesus Christ. 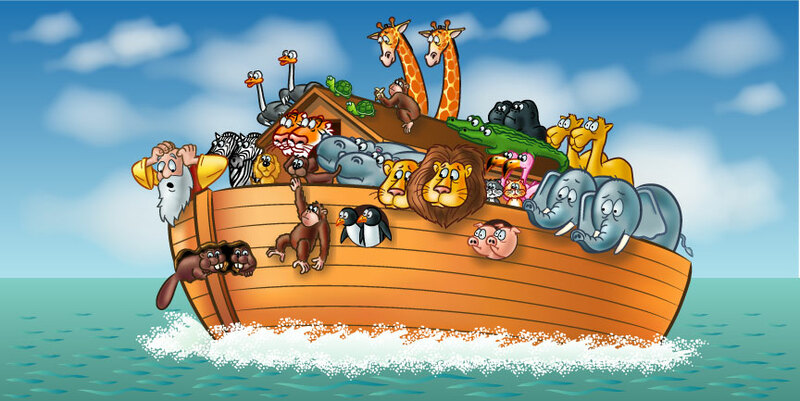 In church, there can develop a “Noah’s Ark” mentality, of creating a safe place to gather and visit – safe from the world and its evils. But, pursuing safety leads to exclusivity, and stagnation. We fear people who are different, who might hurt us or influence our kids badly. We hesitate to try new things, or to be too generous. We shrink back from doing anything together outside of the walls of our building – for fear of being seen, tested, and rejected. And, as a result, the life is drained from the fellowship. If, however, our goal is to follow Jesus, and to invite His transformation of our lives, then safety takes a back seat. Jesus calls us to give up our lives and trust that He will give us a better, truer, eternal one. Paul tells us that God’s will is our sanctification and wholeness. He is working through all the challenges of our lives, to make us more like Christ. As we give up our old lives, our new lives are being restored back into the likeness of our Creator. This transformative journey can involve discomfort. We may experience turbulence. But, strangely, there is nowhere where we will find a deeper sense of safety than in our Heavenly Father’s arms; there is no more stability than in being part of God’s eternal plan; there is no truer unity than the fellowship of following Christ together, being one in Spirit and purpose. Where have you experienced these things? For me, it is when I know that I am in the centre of God’s will for me, exactly where he wants me, doing what He has created and called me to do. Whether that be on an overseas mission trip, or feeding the downtown homeless, playing with my children, or praying with church members, there is safety, stability, and unity in following Jesus together. What is He calling us to do? Over the past year, it has been encouraging to see God at work among us at Parkdale, in some of these ways. When an AA group asked to use our building, they were welcomed and accommodated. We opened our doors, knowing that hospitality also means vulnerability. What will come of this? I hope and pray that our new friends will discover Jesus as the Higher Power. When I asked if there’d be an interest in beginning Freedom Session at our church, again, the response was positive. This ministry will involve confession. It will involve openness. It will involve accountability. But, I trust, it will open the door to healing and spiritual growth in our lives, and the lives of others who we reach. Are we still too safe? Perhaps. Who knows what steps of faith Jesus will call us to take, as we follow Him? How can our worship, our fellowship, our Daycare/Preschool, our homes, our jobs, and our social lives become instruments for His glory? But I am grateful for the steps we’ve already taken together on this journey together. Let’s be listening for His voice as we proceed. Actually, no, he didn’t say that. 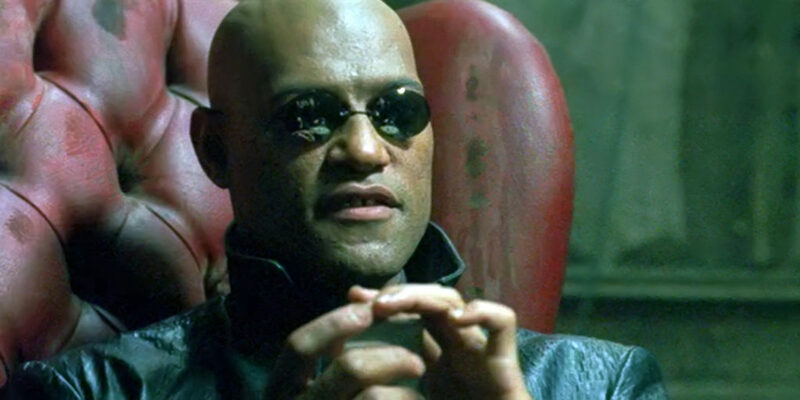 That line summarizes the main idea of the story, but much ink has been spilled in discussing and clarifying that this now-popular meme did not exactly originate in the matrix. See discussions here and here and the movie clip here. But this just strengthens the point. Neo was deceived into believing in a false reality, and so were many of us. I was one of many who, before writing this post, would have agreed that the quote above was spoken by Morpheus. 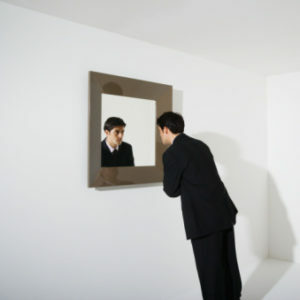 But it turns out to be a fairly common phenomenon – we often fail to see things as they truly are. More thank correcting our doctrine, deeper than cleaning up our behavior, Jesus is interested in completely transforming our entire worldview. 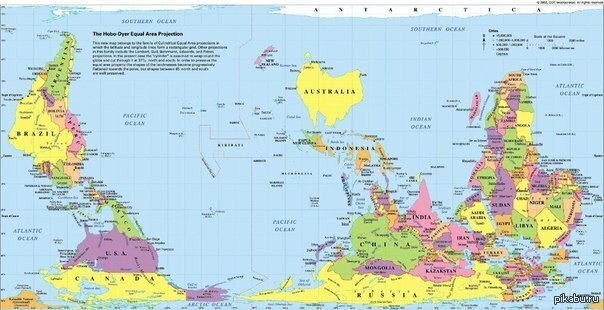 Wow, what a different way of viewing the world! Perhaps it should not be surprising, then, that Jesus’s earthly brother, James, should teach along a similar vein. 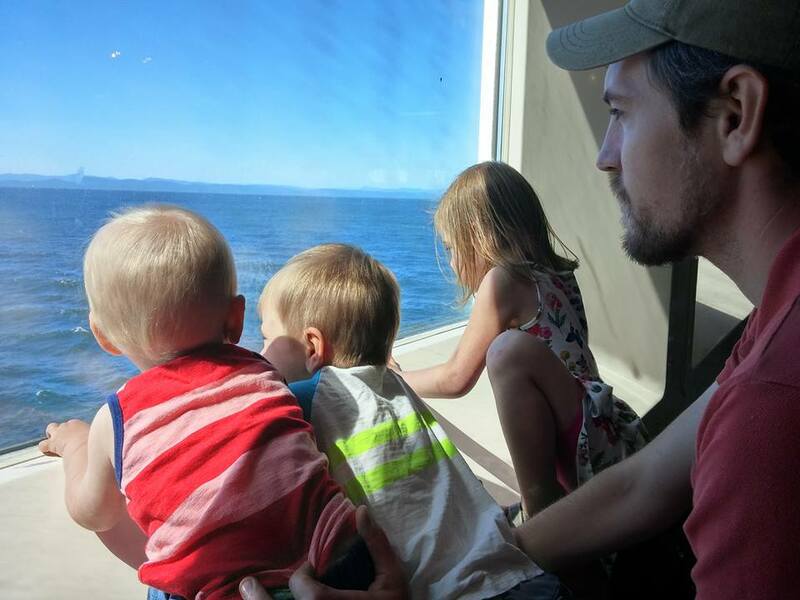 In a previous post, I’ve already shared how James seeks to give us perspective in the midst of trials. In 1:9-11, he reminds us that the current state of both rich and poor is transient. Therefore, we should learn what we can from present trials, and realize that God is the solution, not the cause, of our problems. Now, in chapter 2:1-13, James addresses a practical issue: showing partiality. For those who hold faith in Jesus Christ, there should be no partiality shown. Then, just as Jesus illustrates a deeper point by giving practical instructions on how to throw a party, James illustrates his point with instructions for seating at an assembly: do not distinguish between rich and poor when you gather to worship. It is difficult because the rich are tempted to trust in their things, rather than God. Their things might be financial savings, educational credentials, social reputation, dwellings, life insurance, etc. To the extent that they give in, they are cheated from experiencing the joy of growing in faith through trials (1:2-4), and knowing God as the Giver of everything good (1:16-17). 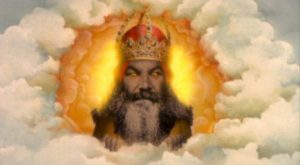 in chapter 2, James is even harsher, claiming that it is the rich who oppress you and blaspheme the Name by which you were called (2:6-7). After denouncing what is wrong, James points us to what is right: the “royal law” of loving our neighbour as ourselves. Showing partiality is antithetical to this simple and all-inclusive law to love. A person who keeps the whole law, but fails at this point is as guilty as someone who broke the whole thing (2:9-11). Verse 12 summarizes how we are to operate in this world. If we view the world through worldly eyes, we will operate under worldly laws of how the world works. We will pragmatically show partiality, in order to win the favor of powerful friends. We will judge others to raise our own profile. But if we view the world through God’s eyes, we will operate under the “law of liberty” that sets us free from the trappings of backstabbing competition, working for everyone’s approval and grasping for security. 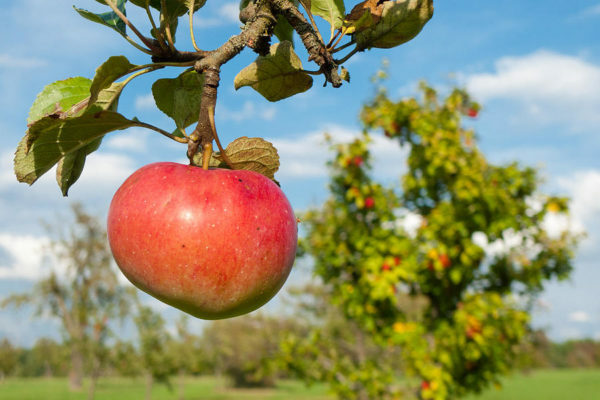 When we realize that “every good and perfect gift is from above,” and we receive His “word of truth,” we are “brought forth” as “firstfruits of his creatures” (1:17-18). Born again. New Creation. Believing and receiving the truth makes us children of God – adopted into a new family, with a new identity. Old lines of division are wiped away, and we are united together as we are united to Him. So, James says, if you view the world this way, then “so speak and so act” like it! Show the mercy to others, that you’re counting on receiving from God! 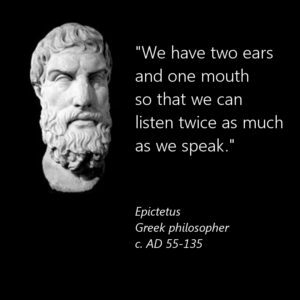 You have two eyes, two ears, and only one mouth. The point was obvious – we should approach the people as humble learners, earning the privilege to speak. Jesus, in coming to earth as a baby, took His time to relate to humanity before beginning His ministry. In fact, 90% of His life could be considered to be preparation! As our Bible sharing & prayer group read through James 1:19-27, it seemed that James seemed to be describing us in a similar way, to make a slightly different point. To James, the present concern is living a righteous life, or practising “pure religion” – and the way to accomplish this may be surprising. This “word” is the Good News of Christ, Who lived to show us God’s love, Who died for our sins, and rose to reign over His followers, dwelling in them and working through them by the Holy Spirit. In 1:18, James calls this the “word of truth,” which essentially makes believers reborn as a new creation, and a foreshadow of the great renewal to come. While speaking in anger does not produce God’s righteousness, hearing the Word can save our souls, and make us a new creation – making us righteous in heart, and increasingly in deed. But the word must not just be heard, but we must “receive with meekness the implanted word.” The Word must be humbly received, with a silent mouth, open ears, and open hands. 22-25 – But, having heard the word, which saves us, we must also be “doers of the word.” Using our two ears should lead us to activate our two feet. For James, this involves using our two eyes. We are called to “look into the perfect law, the law of liberty,” and not just hear and forget, but respond with action, and be blessed. And what is life, as a child of God, like? Here, we go full-circle – having heard God’s word of truth, having looked into God’s perfect law of liberty, we are called to put the words into action. For James, belief necessarily leads to action. If belief results in a new birth, a new beginning, and a new identity, then a new way of life should follow: pure religion. 26-27 – Religion has become a dirty word in our language and culture. It is often associated with rigid, restrictive rules that suffocate our lives and leave us feeling inadequate or worse, condemned. But, strictly speaking, religion simply refers to one’s order, system, or way of life that flows from their beliefs. In other words, it is faith applied. James begins by asserting that anyone who cannot bridle their tongue, but rather deceives their heart – their religion is worthless. Being “quick to speak” is associated with anger, and not with God’s righteousness. Rather, righteousness comes through hearing and receiving God’s word of truth. Visiting orphans and widows – do you know any? You may or may not. But, it might be more likely than you think. In Biblical times, when there was no old age pension or social welfare system in place, people would rely on family when in need. Those who lacked family would hope that there’d be help in their community – especially their religious community. Today, do you know anyone who has lost a spouse or their family? This can happen through death, divorce, estrangement, abuse, etc. How many people do you know, who’ve been through the foster care system, or through divorce? They may lack a lot of the relational support that others may take for granted. 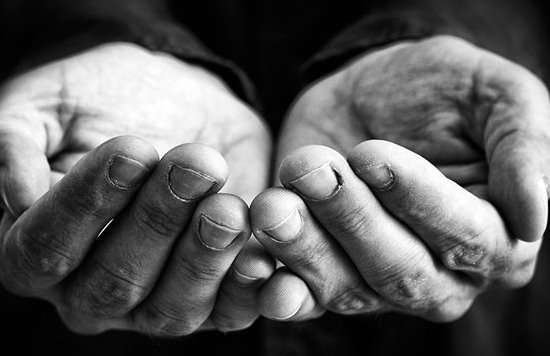 Pure religion calls us to give to others what we have received from our generous Father. Remaining unstained from the world. Here’s where it begins to sound really difficult. Usually people tend to succeed at either the former requirement, or the latter. It’s hard to do both! While offering great compassion and understanding to those in need, we run the risk of falling into temptation – to conform to the lifestyle of others, or enable their unhealthy behavior. On the flip side, by focusing on remaining “unstained,” we run the risk of being cold-hearted, aloof, and neglectful toward those in need. We are saved to be sent; we are blessed to bless. Pure religion involves holding your tongue, and offering a helping hand – while “keeping them clean”. What could this wholistic religion look like? Look to Jesus for an example. And continue with me in this Letter by the Apostle James! Temptations. Suffering. Persecution. Hardship. Waiting. Sickness. Unemployment. Relational Strife. 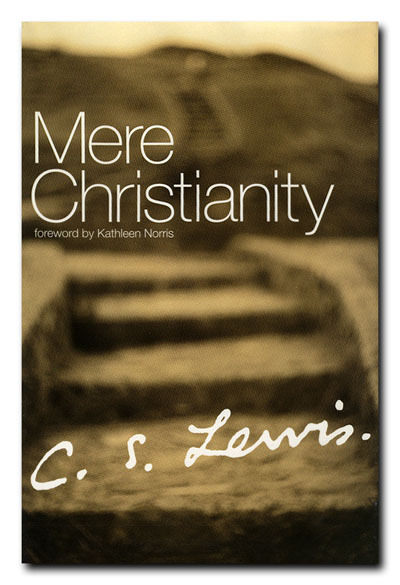 All of these, and more, may fall into the category of what the Apostle James calls “trials of many kinds.” That’s the topic with which he begins his letter to the early church – a very relevant topic for Christians living in the Roman Empire, and perhaps for you as well. After hearing from the life stories of people at our prayer & sharing time on Thursday, I could see why they chose to read this book of the Bible together! To the twelve tribes scattered among the nations: Greetings. It’s easy to complain, to get down on life, comparing our circumstances to others, to our past, to our ideals – and to consider ourselves short-changed. But, we are to consider it joy – to recognise the good in the midst of trials. It is actually through these trials that we can persevere and mature in our faith! If faith is “the conviction of things not seen,” (Hebrews 11:1), then our decision to “consider it joy when we face trials” is a great exercise of faith! Our perseverance in trials will actually work toward our maturity; this is a reason for great joy! While approaching our trials with the right attitude gets us on the right track, sometimes we also need to step back and gain perspective. 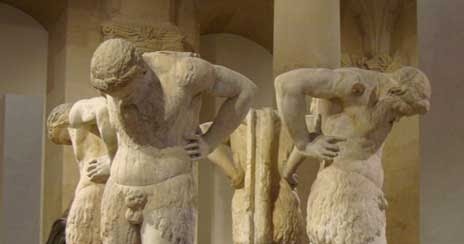 It’s nice to know that our difficulties will result in the maturing of our faith – but is that really what you want to hear in the moment of suffering? Perspective removes us from the immediate circumstances, and helps us see the bigger picture – closer to how God sees it. In verses 9-12, James reminds the reader that our circumstances are fleeting; in fact, in many ways, they are an opposite indication of the eternal reality. “Believers in humble circumstances ought to take pride in their high position” because, as Jesus said so many times and in so many ways (Matthew 5:3-12; Matthew 19-20), “the last will be first.” Jesus promised to raise the humble, esteem the servant, and reward sacrifice. We are to do good things in secret (Matthew 6:1-18), seek places of lesser honor, give to those who can’t repay – and expect a reward at the resurrection (Luke 14:7-14). 1 Truly my soul finds rest in God; my salvation comes from Him. Why did God do this to me? What is His purpose in this? Why did God allow this? Where is He? Did He abandon me? Does He care? James reminds us of two things: the source of our temptations, and the Source of all good gifts. We have already seen that God allows trials to come, which result in our growth when we persevere in faith. He is ready to generously give us the wisdom that we need, when we approach Him in faith. But, He is not the source of our troubles – that would be sin. Though God made everything good, He also made us in His image, with a personality and ability to love. This ability necessarily involves a certain amount of freedom, which we’ve all used in rebellion against Him. We live in a world that is scarred by sin, full of trials and temptations – including our own inner desires. But the good news is that God is there to help – He “does not change like shifting shadows” of our circumstances; but remains ready and available, with “every good and perfect gift.” He is not the source of our problems, but the Source of our solution. Do we believe that? Do we blame God for our trials, or do we look to Him for help, trusting that He is good? James tells us the good gift that God gives: “birth through the word of truth.” The good news of Jesus Christ – revealing God in His life, reconciling us in His death, reigning as the resurrected king – gives us birth into a new life. Believing in Him changes us from the inside-out, completely re-orienting our way of thinking. We see that God’s love comes first, which results in our love. We see that we can only give what we receive, and that we must humble ourselves to become great. We see that all the glory belongs to Him. 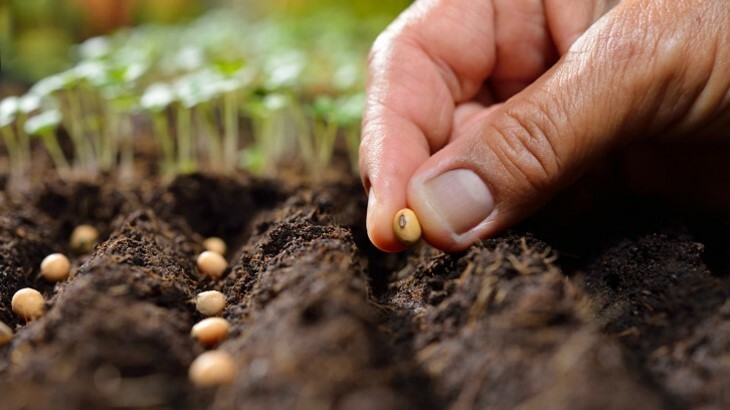 When we believe and receive this and become His child (John 1:12), then we become a sort of “firstfruits,” a sampling of the future renewal of all things (1 Corinthians 15:24-28). God is in the business of reconciling all things to Himself through Christ, and those who are reconciled now are a “new creation” (2 Corinthians 5:17-20) – a small indication of the “New Heaven and New Earth” (Revelation 21:1-5) to come. I hope that these three words – attitude, perspective, and belief will help you in whatever trials you face. Recognise what God is doing in the moment, what He will do in the future, and how good He is – and it’ll make all the difference!